This 'Builder Binder' was created to display in Model Homes built by Alarmtech's associate builders. (Additionally, I designed a pull-up banner to display along with the binder). I designed the binder to first, give information about Alarmtech to their prospective clients. From there the binder is quite comprehensive outlaying all of Alarmtech's packages with pictures, prices and descriptions (and even a purchase/sale agreement). 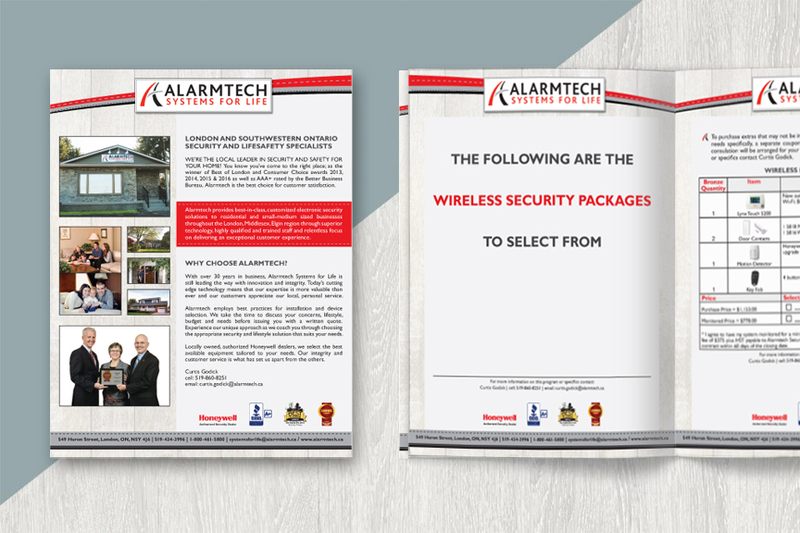 The client 'Alarmtech Systems For Life' is a local business, here in London Ontario, that offer security solutions for homes and businesses.